Content: Jerusalem artichoke grist (inulin), fructose, flavonoids, and ionized minerals of natural origin. Each capsule contains 150 mg of fructose. 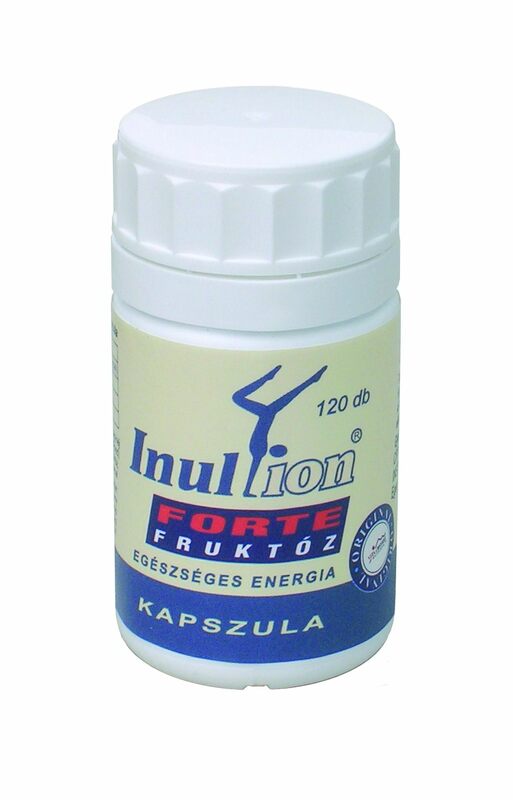 It is recommended to everyone who should take Inulion capsules, three more categories in addition. Alcohol addicts, the ones who want to quit the habit. Fructose containing insulin speeds up the decomposition of acetaldehyde (30 grams of fructose increases oxidation of alcohol by 50%). Recommended to the elderly suffering diabetes type 2. Overweight and immune resistance play an important role in the formation of diabetes type 2. Both can be influenced by the inulin content of these capsules. Besides, absorption of fructose is slower and it builds into the liver faster in the form of glycogen (nutrient reserve). Therefore it causes less excessive blood sugar fluctuation. So it can be highly recommended to diabetic people with unstable conditions. In case of young age diabetes type 1. as the 80 mg fructose getting into body is utilized even without taking any insulin, insulin need of diabetic people of this kind will be probably decreasing by its use.